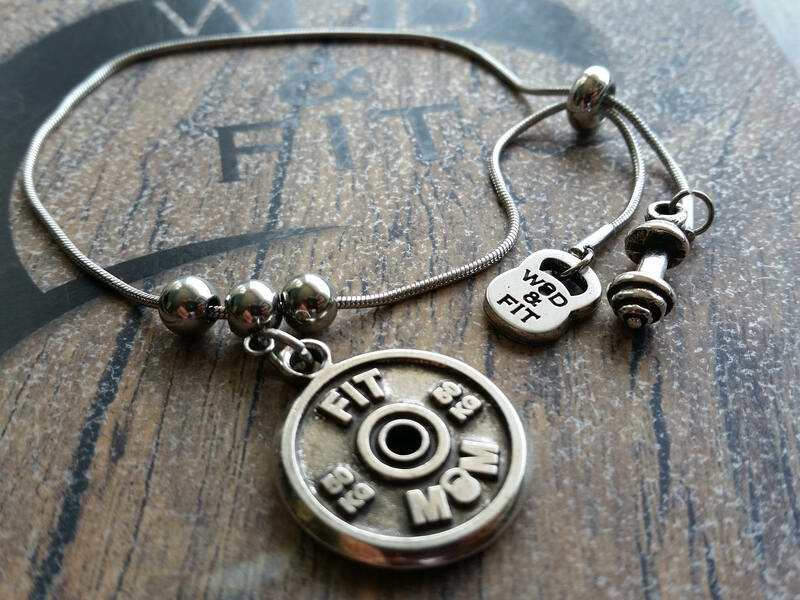 Bracelet Open 17.5 Workout in stainless steel. 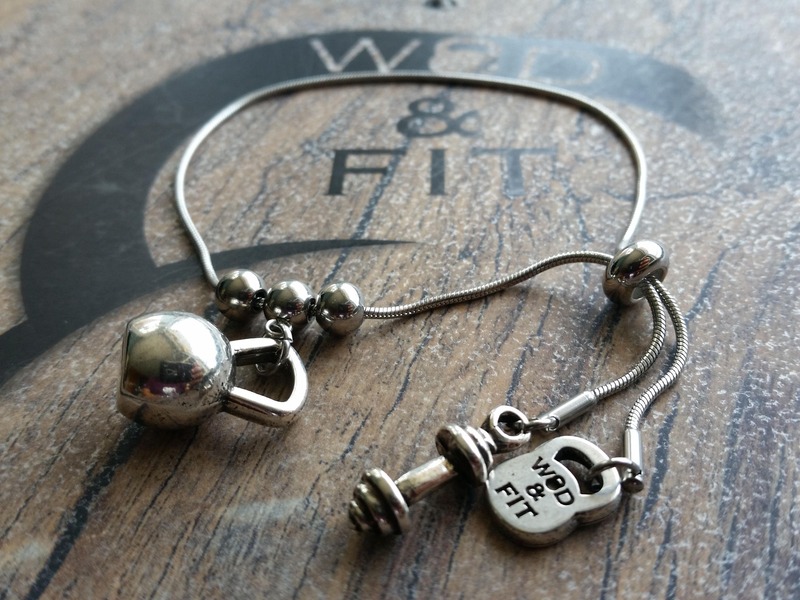 The bracelet is stainless steel of 16 cm-22 cm (6 2/8 "-8 5/8 ")1.1mm length, you can adjust to the desired size. 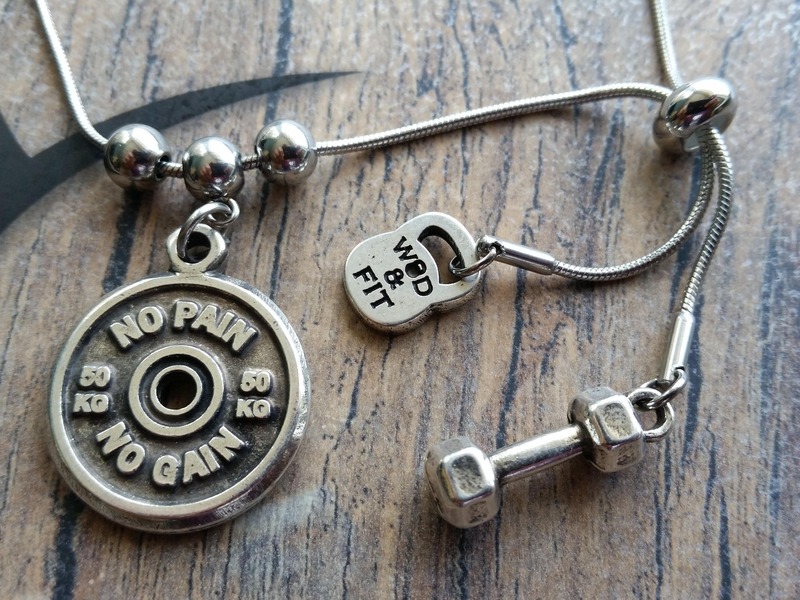 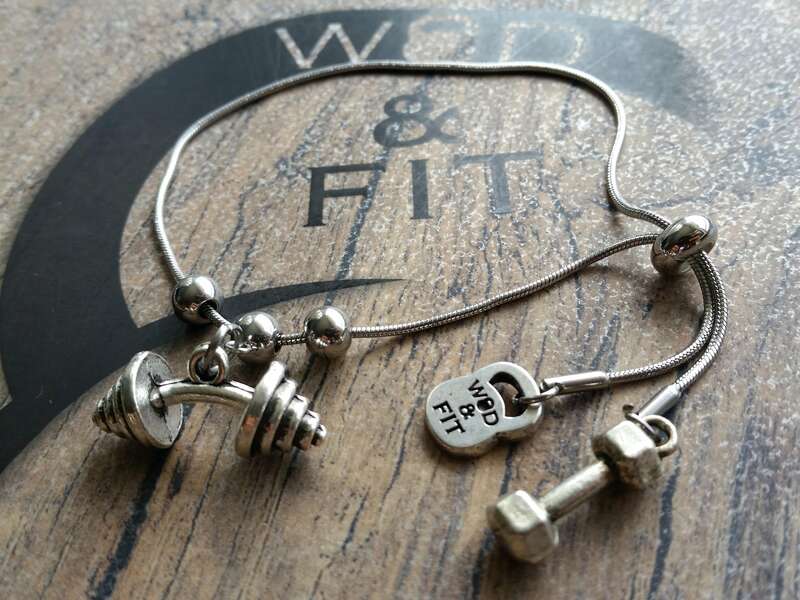 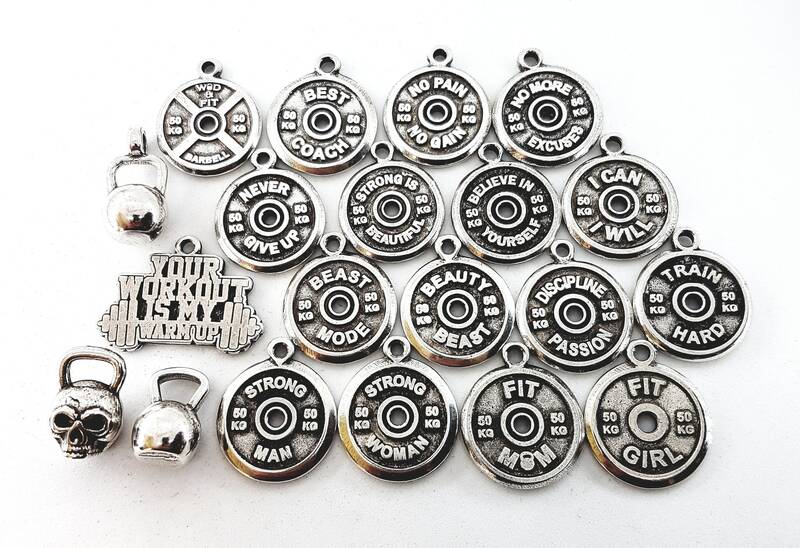 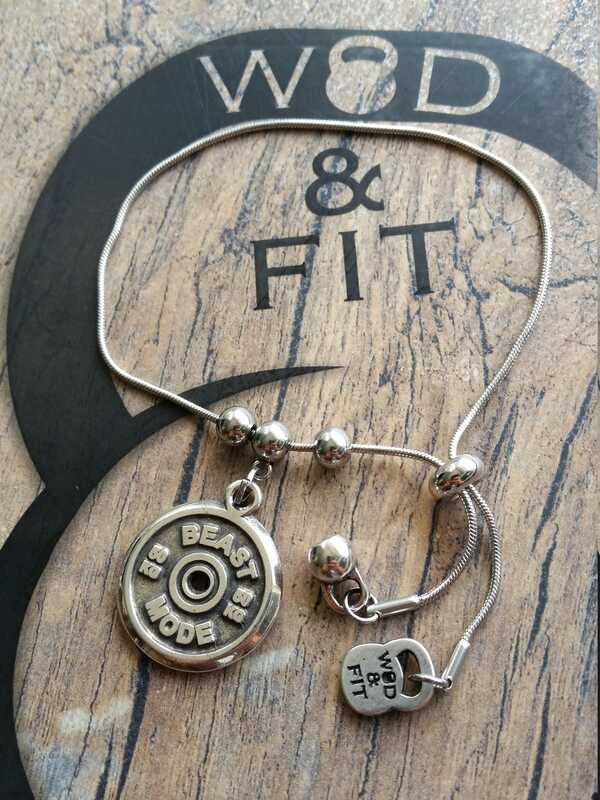 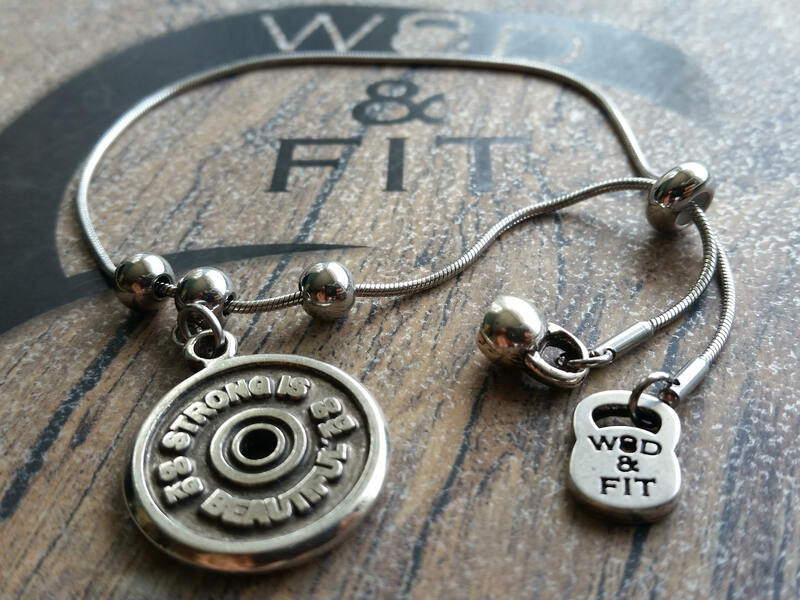 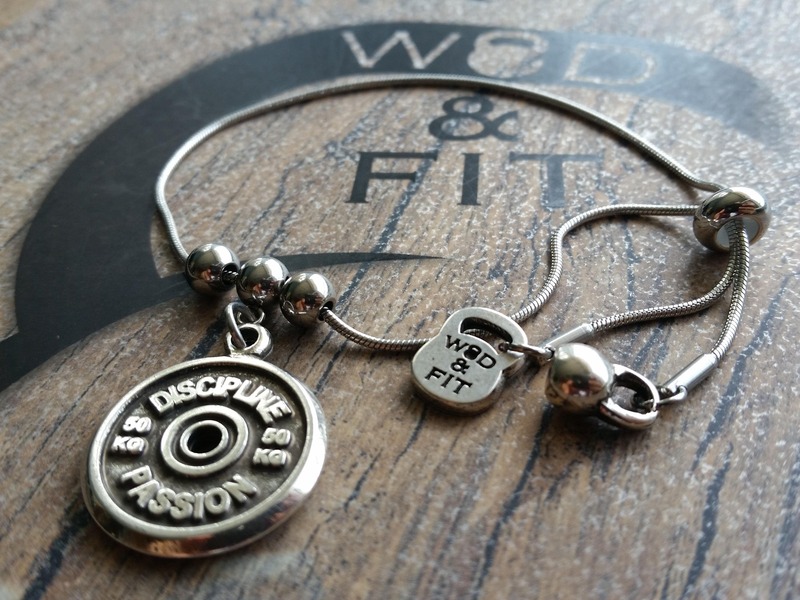 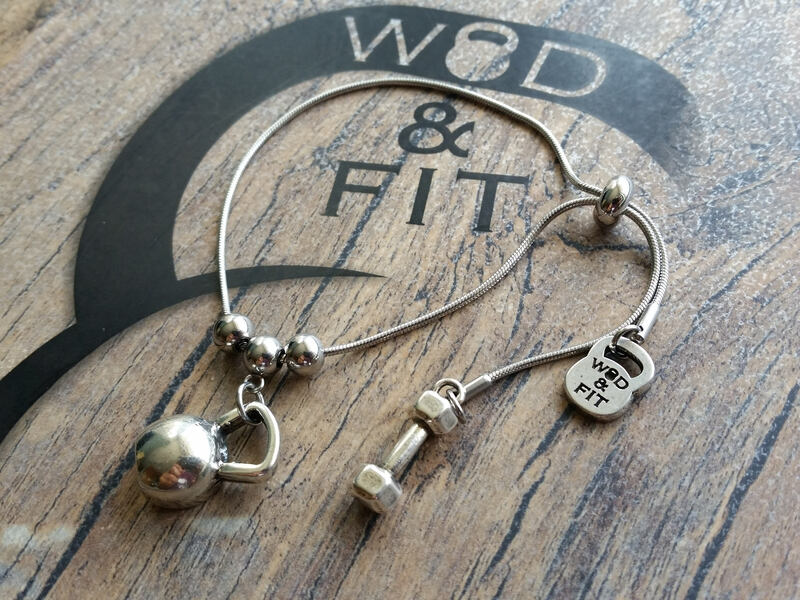 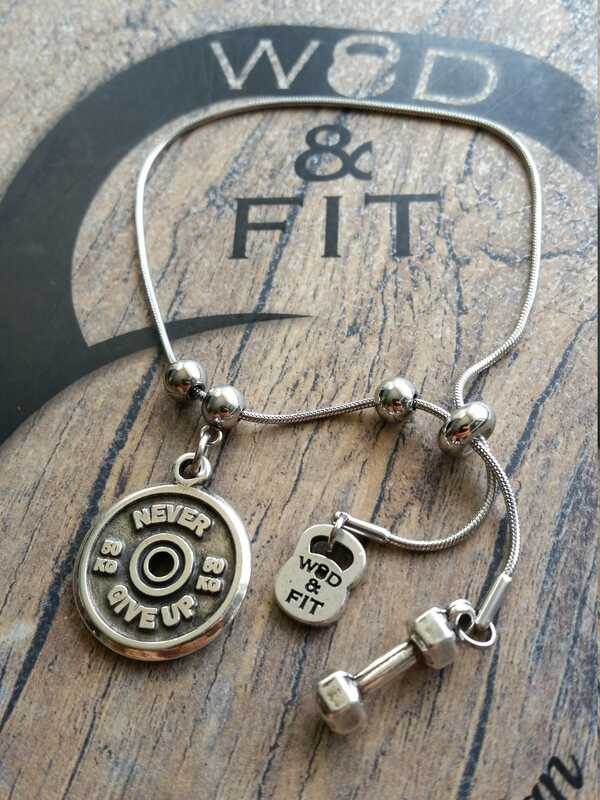 The bracelet Open 17.5 Workout is with the Dumbbell, Wod&Fit Kettlebell and your FitPlate Motivational Word or weight.